Any sustainable business has to have a group of loyal customers who continue to buy from them. It’s the most effective way to sell as you need less marketing spend (around £1 for every £12 you would spend getting a new customer). Existing customers also tend to spend more (around 50% more than a new customer). That’s 6 steps. Amazon customers only take 3 steps so how can you simplify your process? They also appreciate it when there is an element of personalisation. Does your site suggest other products they might like? Amazon gets 35% of its sales by doing this. 2. Product and service delivery – second at 19%. Make it simple, set their expectations (when and how will it be delivered or installed? ), communicate and keep your promises. If customers know what is going to happen and when, they don’t need to contact you. That makes it easier for them and cuts your costs. If you use a third party to deliver your products, make sure they are reliable. Don’t hesitate to change them if they don’t live up to their promises. If a product is late or damaged, the customer blames you and contacts you, not the people you trust to deliver! Company and brand impact – 19% again. Does your company behave as your customers think it should? Take Ryanair as an example. For years they were “cheap and nasty”. It was clear that they provided a service at a low price to the expense of customer service. In the last 2 years they have changed. 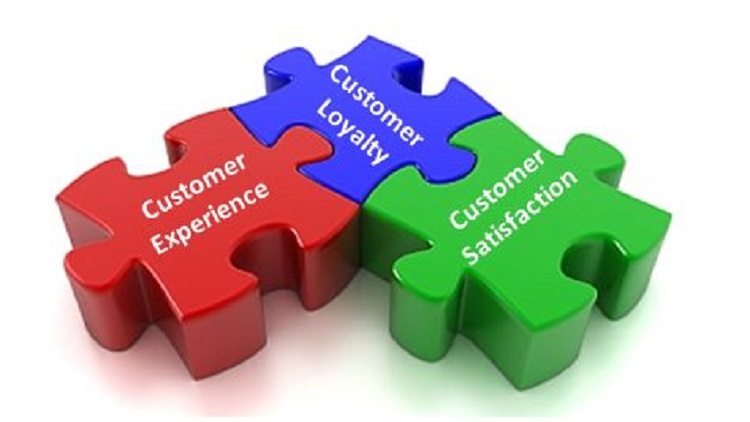 They now talk about how important the customer experience is to them – and their deeds match their words. They now have the lowest level of complaints of any UK airline. Again, look at Amazon – for 3 years they were the best company for customer loyalty in the UK. Then we found out that they were paying as little tax as possible in a way that viewed as legal but not ethical. And then we found that the way they treat their staff was similar. As a result, they slipped from top of the league table to 5th. Value to price ratio (9%) – Customers don’t see price as that important. They are more concerned about the value they get. When Aldi and Lidl took market share from the supermarkets, they didn’t take any from Marks & Spencer. That’s because they have better sales processes, customer experience and brand impact than competitors. Other supermarkets just competed on price. It’s fine to be more expensive than your competitors as long as you can justify it – what makes you better than them?